In excerpts from her newly released book “Make Trouble” Cecil Richards, the President of Planned Parenthood, tells of her progressive roots in Red state Texas and life from childhood years to the present, and her support for democrats or for that matter, I’ll add, anyone who believes in a woman’s right to choose abortion over life. Richards recounts how in the sixth grade she refused to recite the Lord’s Prayer, and the next year was seen wearing a black arm band in defiance of the Vietnam War. She writes about her ultra-liberal parents, and her mother Ann Richards, the first woman governor of Texas, and Hillary Clinton, both of whom she of course supported in their respective campaigns. She writes of how “now more than ever, women are the most important political force in America. We have enormous power to change the direction of this country, and it’s time to use it”. Richards explains how over the course of her life, thus far, she has been an activist for various human rights issues which is captured in her book’s subtitle “Standing up, Speaking Out, and Finding the Courage to Lead”. Richards writes about how during the 2008 campaign for president, Planned Parenthood staged an event and handed out packages of pink condoms that were marked “Protest Yourself From John Mc Cain”. And during the 2016 campaign she was backstage at the last debate thinking how Trump appeared to be “unhinged” and that there was no way Clinton could lose the election. Following the election she was uncertain of what to do. Part of Richard’s creed is making trouble and having a good time. 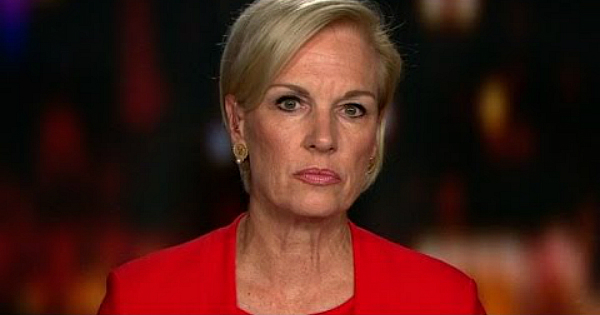 While testifying, in her words, before a “grueling congressional interrogation” on Planned Parenthood’s involvement in abortion at tax payer expense, she describes how Congressman Trey Gowdy, “with his face all scrunched up and twisted with anger, looked just like Draco Malfoy in Harry Potter”. Peppered throughout her book is the one fact that she takes great pride in being an activist and troublemaker. In life we often encounter challenges, and in dealing with these events are forced to make choices and decisions that will determine the actions we take and in the long run I believe our fate. It is in these times that the true character of the individual is made manifest, and in the case of Richards she and her spouse choose to deny life and that involved her having an abortion, which although she explains it as an agonizing decisions, also remarks it was a “relief, it wasn’t tragic or dramatic- it was just my story”. That’s about enough, up till now I’ve been respectful and accommodating in relating to you information on Richard’s new book and some of its contents. So now let’s put all the amenities and niceties aside, and speak honestly and with candor. Most informed people know Cecil Richards as president of Planned Parenthood, and a radical abortion advocate. Her just released book also reveals her to be morally corrupt, vindictive, and nasty, and in my opinion representing the worst America and humanity has to offer. Keep in mind, Richards oversees an organization that finds purpose and achievement in ending innocent life by the hundreds of thousands annually, and as proven in undercover videos is in the business of selling the body parts of its victims, innocent human lives her organization terminates. Cecil Richards believes she is a champion for human rights, perhaps in her mind this is so, but she certainly is no champion of human life. Her callous disregard for the most innocent among us reveals her to be devoid of humanity, and nothing more than a radical feminist who deserves no further notoriety. In the Old Testament, the prophet Jeremiah wrote of the word of God, “Before I formed you in the belly I knew thee”. Those of faith who respect the sanctity and dignity of human life, God’s creation, can take comfort in the belief that innocent life in the womb at all stages from conception to birth is created with a soul from God. One poet Robert Southey gave it more earthly and mortal meaning, “life is indestructible: its holy flame forever burneth, from heaven it came, to heaven it returneth”. If she ever makes it to heaven, which I doubt, Cecil Richards will stand before God and all those innocent souls she helped deny life to. The Rule of Law is Under AttackDid we just Witness a Transformation in The White House?